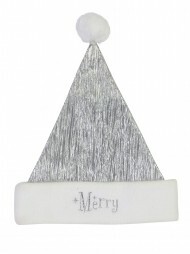 The Christmas Warehouse has everything you need to make a loveable seasonal statement at your office, home, or holiday party. Whether you’re option for a design that’s traditional, candy striped, glittery, or extra springy, Santa hats are a fun and classic way to ring in the holiday season. Bring a set home for the whole family and have fun getting into the spirit of the season, or send hats to far - away relatives to boost holiday spirits. 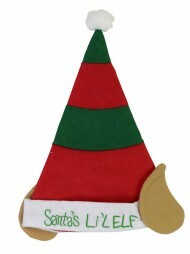 You can even dress up your household pup as the jolly old man himself! Whether you’re donning hats with family or flatmates, this selection of Christmas Santa headwear will have you ready for any holiday festivity. At home, set your family up with matching headwear, or buy everyone their own different holiday hat to best capture their character. Add fun to your carolling routine by donning these playful Santa hats to the tune of your favourite holiday jingle and prepare to delight audiences and neighbours. Why keep these charming Santa hats to yourself? 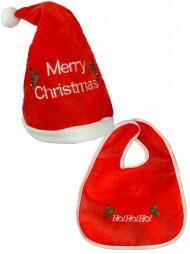 Slip them snugly onto the family dog for a good laugh, and laugh as your makeshift Santa walks throughout the house. Surprise your children with an early morning holiday wakeup on Christmas day by sending your hat - clad canine into their room to help them rise and shine. 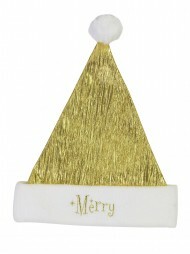 For holiday plays and performances, The Christmas Warehouse offers an affordable option to provide holiday - themed accessories for your whole class. 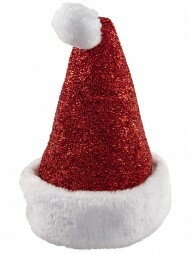 Help students and families get into the Christmas spirit by dressing your performers in charming Santa hats while they sing, dance, or act for a delighted group of beloved audience members. Opt for traditional headwear designs or include a goofy update to the Santa hat by dressing your performers in coil spring hats with hilarious bouncing pom - poms at the end. When it comes to spreading the joy fo the holiday season, there’s no limit to the festive headwear possibilities. 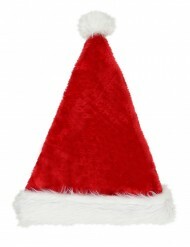 To enhance your workplace morale, hand out holiday Santa hats at the next meeting or wear your own fir - trimmed hat at the office while completing your daily tasks. Help spread the Christmas spirit at holiday parties with a fun conversation starter and opt for a hat that best shows your personality. Invent holiday games centred on headwear, in which Santa hat wearers must pair up with reindeers or elf - hat wearers to complete a team - bonding task. There are a number of ways to use festive holiday headwear to spruce up the typical holiday routine at work, at home, or on the go. 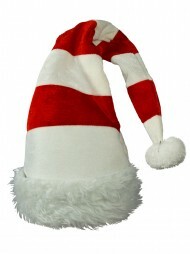 As a perfect way to enhance team spirit for group fundraising efforts, holiday Santa hats create priceless memories at a low cost. If you’re enjoying a holiday - themed marathon, pub - crawl, or scavenger hunt, jazz up your team’s image by adding playful matching Santa hats. This will help unify your team’s appearance and also charm your competitors. For bonus points, add full character costumes and turn your crew into a group of holiday icons. If your team is raising money for charity, one of the best ways to get your audience to open their wallets is to deliver a high dose of holiday cheer. Perform your holiday routine while making others laugh to ignite the Christmas spirit of giving. The lightweight construction and tapered fit of the Santa hat makes it easy to wear and comfortable during long periods of holiday festivities. 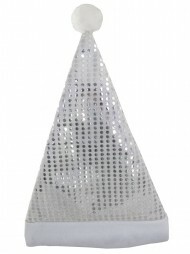 One size fits all, as the cone - shaped design will simply adapt to fit the wearer’s head. 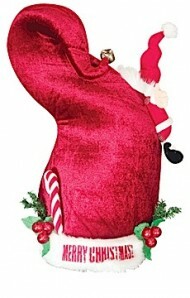 These durable and soft Satan hat materials are built to last through any Christmas duties, dinners, or holiday parties. Save your hat collection year after year to start a new tradition or elaborate upon a long - held family practice.